With the closing in our industry of an iconic brand with a philanthropic arm, many children this fourth quarter will be going without toys. 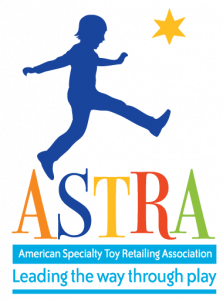 As members of the specialty toy industry and ASTRA, we believe every child deserves to experience the magic that is play through high quality toys and children’s products. 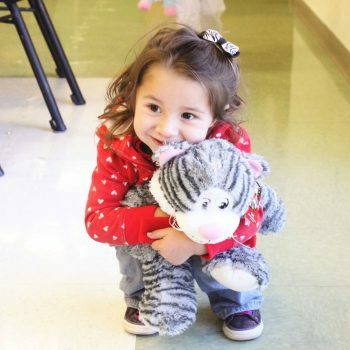 Inspired by this vision and our industry’s commitment to giving back, ASTRA has partnered with Good360 to establish the Toys for Joy program to bring toys to as many children as possible this holiday season. These donations will benefit the organizations that previously received toys from the Toys R Us donation program. Complete the donation form below by August 25 and a Good360 team member will follow up with next steps. Products must be shipped by August 31 to ensure distribution for the holiday season. Contact ASTRA Toys for Joy at ASTRA@Good360.org or (703) 836-2121 and ask to speak with the ASTRA Toys for Joy program manager. Thank you for your support of the Toys for Joy program, the deadline for donations was August 25th and we are no longer accepting donation submissions at this time. If you have any questions or comments, please email ASTRA@Good360.org. Good360 accepts product donations to meet the needs of our nonprofit network year-round, click here to submit a donation.